Restylane is an injectable dermal filler used to restore facial volume and minimize the appearance of fine lines and wrinkles. Restylane injections are highly effective in treating mild to moderate lines and wrinkles around the mouth, eyes, and lips. They are also useful for adding volume to small treatment areas, such as the lips, that have diminished with age. Did you know that hyaluronic acid is a substance naturally occurring in the human body? In fact, hyaluronic acid is responsible for attracting and holding water within the skin, giving it youthful volume. Over time, natural hyaluronic acid levels deteriorate, causing the skin to develop lines and appear sunken. Restylane restores hyaluronic acid molecules to the skin, causing it to ‘plump’ and achieve a smoother, more voluminous appearance. RESTYLANE®-L; is used to add volume and fullness to the skin to correct moderate to severe facial wrinkles and folds, such as the lines from your nose to the corners of your mouth (nasolabial folds) and the lines that run from the corners of your mouth toward the chin (marionette lines). correction of age-related midface contour deficiencies in patients over the age of 21. Restylane Lyft is also used for treating moderate to severe facial wrinkles and folds, such as nasolabial folds. RESTYLANE® SILK; is used to enhance lip fullness and definition. You may be a candidate for Restylane injections if you are bothered by the appearance of vertical brow lines, smile lines, frown lines, or lip lines. Restylane could also be an option if you desire bigger, fuller or more defined lips. Though there are few contraindications for dermal fillers, some people, such as pregnant or breastfeeding mothers, may not be candidates. Contact our office for more information about Restylane and whether it could be right for you. 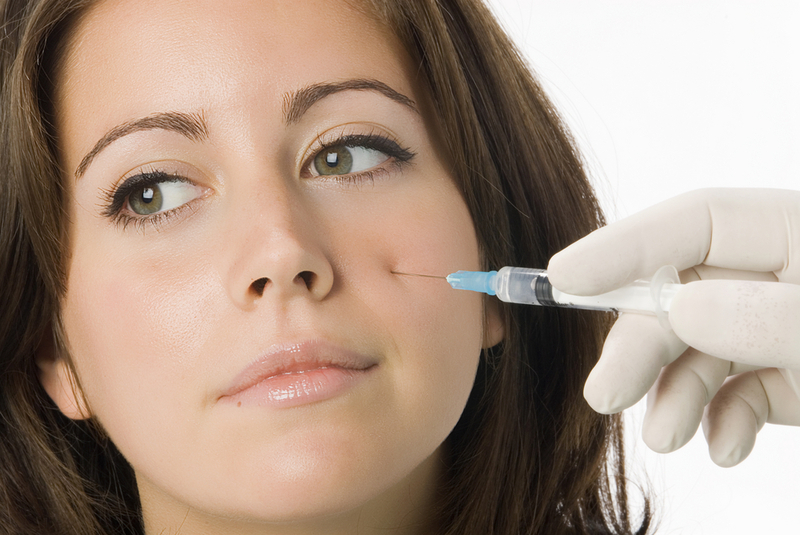 What should I expect during a Restylane injection? A Restylane treatment session is performed in our office. A fine needle is injected just below the surface of the skin, offering nearly instantaneous results. Most sessions last approximately one hour and require virtually no downtime. There is very little discomfort associated with Restylane injections, and most people can return to work or their other usual activities immediately after treatment. You will notice results immediately after treatment, although it may take a few days to realize Restylane’s full effects. Though long term outcomes vary from person to person, Restylane lip treatment results typically last 3 to 6 months, and treatments in other areas of the face tend to last 6 to 9 months or more.